Garner’s Jewelry & Exchange is an excellent source for lawn equipment & all things for taking care of your yard. With spring around the corner, if you find you have extra working lawn mowers, chain saws, weed wacker, ladders or other valuables to take care of a yard, Bring it into Garners to sell or exchange. We like to keep a full stock inventory of such items especially this time of year. Just as we are putting away the snow blowers, we start thinking about using our lawn equipment, seems it snows again. Make Garner’s your go-to destination for a great deal. Don’t forget if you find yourself with extra items of value, bring it into Garner’s for instant cash. Even if you simply find yourself short on cash, we can put it in pawn for you and give you a loan on it. A positive aspect of pawnshops is the transaction in not permanent. Unlike Craigslist, eBay or another regular type of sale, a pawnshop loan allows you to regain possession of your item. So, if your fortunes turn around, you will be able to give us a call, we will allow you to get your stuff back. With Craigslist and eBay, once your stuff’s gone, it’s really gone. 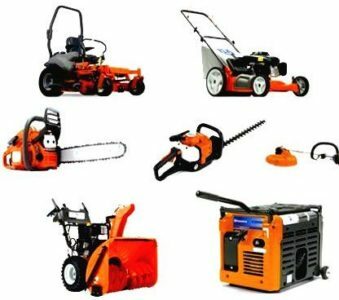 Garner’s Jewelry & Exchange regularly buys lawnmowers, trimmers, weed whackers, chainsaws and more! If you have a question about a particular item, just give us a call and speak to one of our customer service representatives. Also, if the item is a large piece of lawn equipment, like a riding mower or even something you simply can’t carry in we can meet you outside. No worries about getting it into the front door or upstairs in the Taylor store.